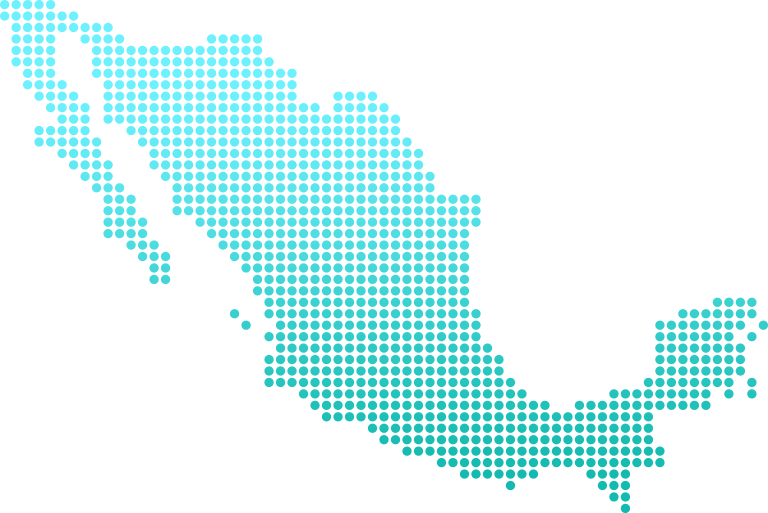 Whether you’re a business or an individual can save you time and money on shipping to Mexico. Get an instant quote for parcel delivery with the best Mexico courier delivery services and compare cheap prices which are up to 60% cheaper than booking direct. You don’t have to be a member to use and we take care of all the paperwork. Making it easy and quick to export to Mexico, whatever you need to send. ’s courier price comparison is not the same as simply getting quotes from lots of couriers directly, because not only do we show you a selection of the best shipping services in one place, our prices are up to 60% cheaper than the cost of going direct. Compare prices and speeds from a range of couriers. Choose from economy and express shipping options. offers premium delivery to Mexico with couriers you can trust, such as UPS, for a fraction of the price of standard parcel post. Our 30 years’ experience in international delivery allows us to deliver fantastic value while also offering £50 free insurance, real-time tracking and UK-based customer service as standard with every shipment. Whether you’re an individual looking to send a gift to a friend in Tijuana, or a business expanding your customer base and seeking solutions for exporting to Mexico, has services to meet your needs. If you need urgent delivery from the UK to Mexico we can get your parcel there in as little as three days. And if you want to send something in the other direction we offer import services from Mexico to the UK with our same great savings. automatically generates all the paperwork you need to clear customs in Mexico, all you have to do is be accurate with the information you provide when you book, print out the forms, and attach them to your shipment where relevant. If your shipment is valued at less than US$50 then it should be exempt from duties and taxes when entering Mexico. Shipments over this value will have duty and taxes applied by Mexican customs, which will have to be paid by the receiver. Books are exempt from this up to the value of US$1,000. Although our courier’s pick-up from your door they’re not allowed to enter your house, so please ensure you have your packages are ready to hand over on your doorstep on the day of collection. We also offer drop-off locations throughout the UK, if you don’t want to wait home all day. These convenient locations enable you to drop-off your package outside office hours. If your sending large or bulky items, you need to book 24 hours in advance so the courier can dispatch a suitable vehicle. We deliver between 9am and 7pm on working weekdays, which means that parcels will not be delivered on national holidays. If you want a more specific timeslot you can choose one of our timed delivery options to avoid your receiver having to wait in all day. If you have sent an oversized package, then you need to ensure someone is on hand when it’s delivered to assist our driver with unloading. If you need a pallet truck, or similar equipment, then let us know in advance and we will arrange it. Deliveries to Mexico from the UK take at least three days, so it’s reassuring to know where your parcel is during that time. With you can follow your parcel’s progress for free, right here on our website. Every time your shipment arrives or leaves somewhere you will be able to see it, as soon as it happens. And should your package encounter a delay we’ll even email both you and your recipient to let them know about it. When sending a present to Mexico there is no special gift exemption from duty and taxes. This means that, as with other shipments, when it goes over the value of US$50 taxes will be applied. Everyone likes a nicely wrapped present, but if customs officers decide to inspect the contents they’re unlikely to wrap it up carefully again afterwards, so consider a gift bag instead. are experts in shipping oversized and bulky items around the world. We can ship items up to 1,000kg in weight, or 270cm in length, including pallets. Whether you’re sending commercial goods to a business, or shipping bulky household effects, ’s specialist large parcel service can help. If you want to send a large shipment to Mexico, then remember to book at least a day in advance. Our expert UK-based customer services team can also help if you think you might need a specialist air freight service, just give them a call. Mexico has exported its cuisine all around the world, so why not return the favour? makes it easy to ship food, you just need to follow the simple rules listed below. So why not surprise someone in Guadalajara with a gift hamper? Or give a friend in Tijuana a break from tacos? Sending food is simple, safe and cheap with . Mexico is a long way from Britain, and if your parcel has to travel that far surrounded by other packages then you know it’s going to experience some bumps and knocks along the way. Your box is the shell which protects everything that you send, so don’t scrimp on it. Buy a new one, preferably double-corrugated, to avoid your parcel bursting or getting squashed in transit. Wrap every item you’re sending individually before nestling them in packaging material, such as packing peanuts or bubble wrap, inside your box. Once the box is full give it a shake. Nothing should move. Use proper packing tape and be generous with it – wrap three times around your box in a Union Flag pattern, covering all corners and seams. Make sure your label is attached and readable. What are the duties and taxes applied by Mexican customs? Most countries’ customs will apply some duties and taxes to parcels when they arrive at the border. These are normally dependent on the nature of the contents and their value. In the case of Mexico there are no duties and taxes applied if your package is valued at less than US$50, after that duties and IVA (Mexico’s VAT, set at 16% in 2016) will be applied. The two exceptions to this are personal shipments up to a value of $1,000, which only have to pay IVA, and books, which are exempt from IVA. Who pays and who collects duties and taxes? Because duties and taxes are calculated at the Mexican border you can’t pay them in advance and your receiver gets billed for them instead. The money is collected by the Mexican customs service, a process which has no part in. Can I ship my bicycle to Mexico? In a word, no. Apparently Mexico has enough bikes already thank you very much. And if you’re thinking you’ll get around this by sending your bicycle in pieces and reassembling it once it’s delivered, Mexican customs have already thought of this and you can only ship bicycle parts to Mexico for commercial reasons. Can help my business export to Mexico? We have a comprehensive business shipping programme which not only lets you save even more money on deliveries, but provides you with expert support to ensure all paperwork and other logistical concerns are addressed. Can I send eBay items to Mexico with ? Yes. Opening up your eBay items to international bidders can often increase your final selling price. Use our eBay shipping calculator to work out P&P costs before you list items. Do delivery times vary to remote areas of Mexico? If you’re sending a parcel to a remote area of Mexico like Urique in the Copper Canyon, Puerto Escondido or Juquila, then it may take a day or two longer to deliver, and may incur additional surcharges also, however we’ll let you know the delivery time and price for every shipment at the point of quote, so there are no nasty surprises. What shipping companies do you offer for Mexico delivery? We offer the best logistics services from the biggest Mexico couriers including UPS, FedEx, TNT & DHL.